Estote semper parati! (“always be prepared”) is the motto of the Federation of North American Explorers (FNE). Now that our adult leaders have made their promise, FNE’s Mount Monadnock Group, based at Saint Benedict Center in Richmond, N.H., is prepared! Our male and female sections, with their adult leaders, hiked two different trails of our eponymous Mount Monadnock. At the base and the summit, promise ceremonies took place, and the adult leaders received their promise crosses. We were joined by our brothers and sisters from the North Star Group in New Jersey, who have taken us under their wing. 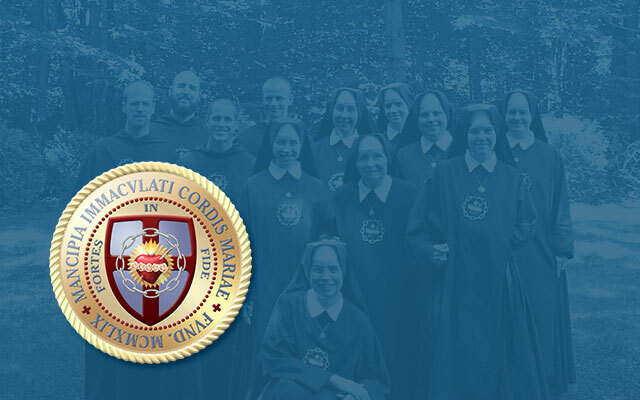 As Saint Benedict Center sponsors the Mount Monadnock Group, the North Star Group is sponsored by Mater Ecclesiae Roman Catholic Church, a thriving traditional Latin Mass center. Based in Canada, the FNE is affiliated with the International Union of Guides and Scouts of Europe, which today continues the work of Fr. Jacques Sevin, S.J., a friend of the founder of scouting, Lord Baden-Powell. FNE offers single-gender scouting for both boys and girls, with troops strictly separated along gender lines. 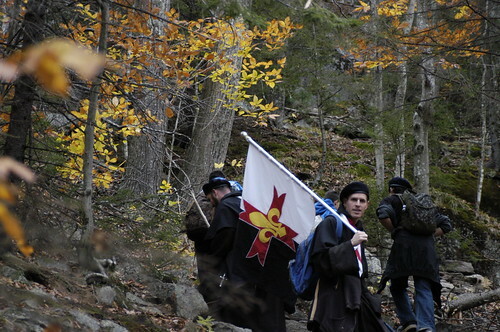 The Mount Monadnock Group is the second group of the FNE in the United States after the North Star Group. Several other groups are now in formation. In addition to the photo below — and these twelve others taken by our Brothers — there are also fine pictures on the North Star Group’s web site.